You were only issued one set of ears. 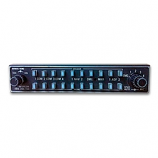 Why not protect your children’s hearing too? Pilot USA was the first to design an aviation headset specifically for children. The key to proper fitting for a child's headset is that it doesn't hang on their head. Proper fitting equals comfort. 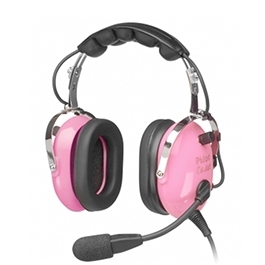 The Child General Aviation Headset in Pink, Cadet headset utilizes a smaller headband and a smaller version of our Super Cushion Headpad. The full flexible microphone boom is also shorter than an adult sized headset boom. This allows for proper placement of the noise canceling microphone. Keep them entertained (and quiet) by letting them connect to their music device of choice (CD player, iPod, MP3 players, tablet and laptop computers, etc).Pilot USA was one of the firsts to engineer an aviation headset specifically for children. This headset model has Hot Pink Ear cups for a fun and unique headset your child will love!